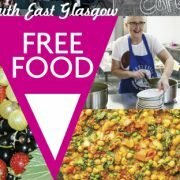 In 2016 the Trust produced a Food Map to guide those in need to free food, including Soup Kitchens, Food Parcels, Foodbanks and Community Meals within the Southside of Glasgow. With 10,000 copies being distributed, the Food Map served as a valuable resource for doctors, social workers, health visitors, Citizens Advice and welfare rights workers. In response to the growth of food poverty, the Trust in partnership with Urban Roots has produced a new version of the Food Map. It is available from participating projects as well as from Urban Roots and the Govanhill Baths.